We are focused on the long-term needs of our patients. That’s why we believe in conservative dentistry, and have a preventative approach wherever possible, only treating as required. We clearly explain all the options available, ensuring you’re well informed to make the right decisions that will ensure good dental health for years to come. We pride ourselves in providing the highest standard of dental care. That’s why keep up to date with world’s-best dental procedures and knowledge, and only use the most advanced technology and equipment. As soon as you walk into Erko Dental, you can expect a warm reception. Throughout your visit we want you to feel as comfortable as possible. So sit back, relax and enjoy our unique design-led surrounds. After all, a trip to the dentist shouldn’t just be as painless as possible – it can also be inspiring. We’re all different. In fact, your set of teeth is as unique as you are. That’s why we take the time to get to know you, understand your concerns, and then tailor a personalised treatment to your specific needs. We’re a husband and wife team who live locally and have a strong sense of community. We share the ideals of the area and embrace the Erko lifestyle. We’re your local dental experts in the heart of Erskineville – so don’t be a stranger! In between caring for teeth, Dave spends what little time he has immersing himself in the Newtown / Erskineville community. Whether it be spending time with Angela and their son River at the local park, walking his dogs along the narrow back streets, or spending time catching up with friends at a local establishment, he rarely even needs to leave the area. Angela enjoys sewing her own clothes, sculpting miniature dioramas, getting kisses from her doggies and killing any plant she buys from Bunnings. Luckily she’s much more passionate about dental care than plants and is extremely knowledgeable with not only a Dental degree but also a degree in Medical Science, a Masters of Pharmacy, and is also about to embark on a post graduate diploma in sedation dentistry! She also currently tutors root canal therapy at the University of Sydney. Angela is extremely patient and has a calming demeanour during treatment. She likes to make sure her patients are informed and is happy to explain what is happening during each procedure. Mel believes a trip to the dentist should be informative and fun! Her kind gentle nature makes her especially good at treating anxious patients and nervous kiddies. By keeping up to date with modern techniques and practices Mel makes your visit to her as pleasant and painless as possible. Outside of the dental practice you might find Mel in the kitchen creating new recipes that her taste buds (and teeth!) approve of. She also loves to watch and play tennis with friends and family! Our associate dentist from the other side of the Tasman Sea, nika enjoys doing fullings (New Zealand for fillings) and is an avid teeth-puller-outerer. After a year at an emergency hospital in New Zealand she is very confident in removing teeth with a particular interest in wisdom tooth extractions. Nika, like all our dentists, is an advocate for preventative dentistry and believes in the power of good oral hygiene. She loves educating adults and children alike on good oral hygiene and getting them on the right track to happy, healthy teeth. She is a bright and bubbly member of the Erko Dental family and is great at putting any anxious patients at ease be it by laughing at her accent or by… well… no, that’s it. She talks funny. As a new Erskineville resident she loves checking out the local hotspots and can’t get enough of all the coffee options available to her. She enjoys sweating it out at the gym, chasing the sun at the myriad of beaches available in Sydney, and collecting bric-a-brac from the weekend markets. When Holly isn’t managing the practice you can find her playing with her dog Chewie, binge watching RuPaul’s Drag Race, cross stitching, or eating the most sugar one human can possibly consume. Originally a chef she is a seasoned multi-tasker and at Erko Dental you’ll often see her running around the practice helping the support staff and dentists, answering any trickier enquiries on the phone and through our email, and all the other behind the scenes stuff that a practice manager does. Her catch-phrases are “no worries” and “cool beans” and will often have a laugh with our regulars. Over her many years at Erko Dental she’s learnt a thing or two about the treatments that our dentists perform and she’s the one you’ll get a call from a couple of days after your appointment to check up on you and answer questions about previous or further treatment. Our amazing dental assistants Nanette, Pauline, Kavisha, Jess, Nikita, Carol, Lizzie, and Other Jess ensure that every patient is treated with respect and looked after with the utmost care. They assist in the smooth running of the practice and in making each experience at Erko Dental as enjoyable and stress-free as possible. Each assistant is like a snowflake. A base ingredient list for an Erko Dental assistant would comprise of a love of animals, creativity, good looks, a bold personality, multi-talented, and a solid sense of humour. Every now and then you may see the gang at the Erko for a cheeky schnitty or the Imperial after work if we’re celebrating. We love meeting new people and are always accepting new patients. Drop in or give us a call and meet our friendly team! As a new patient we like to be very thorough in learning about you and any dental issues that you may have. Our whole objective is to get to know you and your dental needs.This means as a new patient we like to take in as much information as possible. Thus, a comprehensive history and examination is done. This information helps us help you as much as we can. During your first visit with us we not only take this comprehensive history but we also take any records we deem necessary to help us formulate a plan for you. The treatments we may do during this first visit are things like xrays, photographs, dental models and 3D scans of your teeth. Unless you have numerous issues that need to be attended to we will also give you a thorough clean and fluoride. All of this is a capped fee of $270. It will never be more than this unless your health fund decides to rebate more. 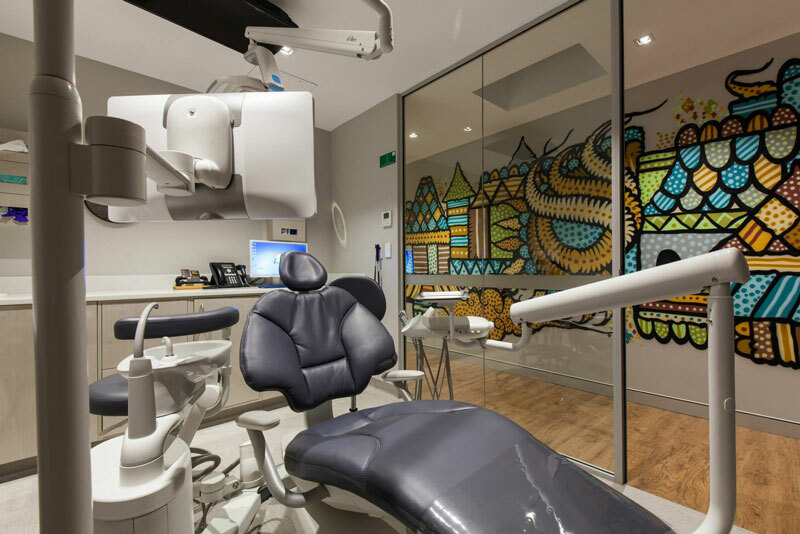 Erko Dental are a Full-Service dental practice in Erskineville offering a comprehensive range of treatments that will be tailored for you, with a focus on your specific long-term needs. We offer a range of colour-matched fillings that will effectively hide the fact you’ve ever had a procedure. We are fully experienced in all forms of Cosmetic Dentistry, in order to restore and protect teeth and gums for aesthetic and medical reasons. We can perform crowns in-house and on the same day. (Root Canal Therapy) These days Endodontic Treatment, also known as Root Canal Therapy, can be performed virtually pain-free. If identified quickly, we can save the tooth, and repair any damage that may have occurred. We believe it’s important to educate children as early as possible about good oral hygiene, to set them up for a lifetime of healthy teeth. We ensure children of all ages understand the importance of good dental care, and feel relaxed and comfortable throughout their visit. We understand that, for a number of reasons, some patients will experience a high level of stress associated with their dental appointment. Don’t worry, we’re extremely familiar with such circumstances and have a range of relief options, including nitrous gas. Good oral hygiene is at the core of what we do. We’re strong believers in education in order to formulate good daily habits that will maintain excellent dental health for life. Those pesky wisdom teeth are sometimes such a pain they are better out than in. There’s also nothing wise about keeping a tooth that is causing pain, infection or swelling. The smart thing to do is to remove your wisdom teeth if they start to cause issues. Virtually no one, is born with straight teeth. We understand the implications that crooked teeth can have. We offer invisalign as well as traditional braces at Erko Dental. As a patient-focused dental practice we are committed to investing in the most advanced equipment that utilizes cutting-edge technology. When superior technology combines with clinical expertise our patients can enjoy a treatment that is often pain free, and fast. Based on sophisticated CAD/CAM three-dimensional scans of teeth, we can make crowns and onlays in-house, with a milling machine, on the same day – a process that usually takes at least a week. It also results in a superior product that better protects the teeth. Our 3D X-ray machine takes three-dimensional images of the teeth and jaw. It allows us access to invaluable information that aids in the diagnosis and treatment of complex cases. We use digital x-rays and other machines that emanate an extremely low dose of radiation than other medical grade equipment currently used at dental practices. Erko Dental is an eco-friendly practice that is dedicated to taking care of you and your environment. We try to achieve a paperless office by being a fully computerized, digital practice. We encourage emailing receipts instead of printing them, and all documents are kept in digital format. We use low-energy LED light bulbs throughout the building, biodegradable products wherever possible and good quality equipment that will last to reduce waste. Additionally our digital x-rays give off a much lower dosage of radiation than film whilst also avoiding the chemicals.